Have you ever heard someone say a person 'Looks like money?' Well, the people on the latest cover of Forbes magazine is exactly what these people are talking about. 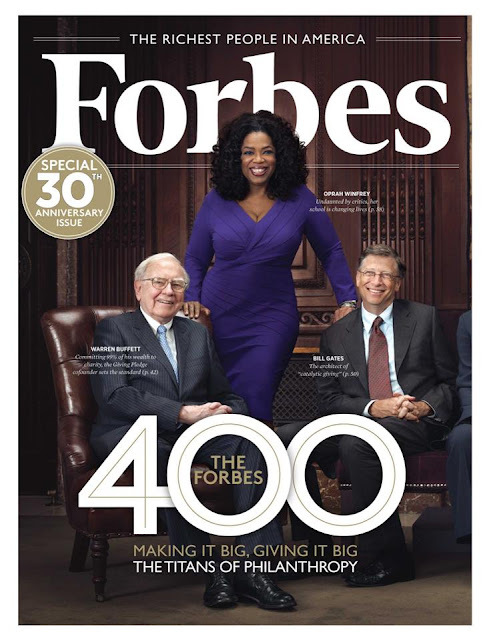 Forbes Magazine picked Oprah Winfrey, along with 14 other billionaires, to grace the cover of the magazine in order to spotlight billionaires who give back. If you combine their net worth, the cover cost 126 billion dollars.